Here is some good news. If you were put off by the prices of the touchbased Windows 8 laptops, there are signs that prices are easing. The big game changer here was Asus which uncharacteristically launched the cheapest Windows 8 laptop, though an 11-incher, at Rs 39,990. This at a time when all we were hearing about was convertibles and hybrids which cost upwards of Rs 55,000. Interestingly, even the cheapest Windows 8 tablets were priced around Rs 35,000. Acer followed suit by announcing even cheaper devices starting as low as Rs 32,950. They now have at least four touch notebooks with prices going up to Rs 45,319, which is still within most mid-level purchase budgets. However, the cheaper of the Acer devices run on new lowvoltage Intel Pentium dual-core processors. But on the bright side all of Acer's notebooks offerings have 15.6-inch screens, while Asus is a more compact MacBook Air-like device. If you need a full-size device, then this is your best bet. Except for Dell, no other big players have announced Windows 8 touch notebooks that won't blast a whole in your pocket. But it is just a matter of time before they do so. The availability of cheaper touch options in the market will definitely affect the sales of non-touch devices. This slim little notebook comes with an 11.6-inch LED Backlight 1366X768p HD multi-touch panel. Resembling a slightly stocky MacBook Air, this Windows 8 notebook is powered by third generation Intel Core i3-3217U Intel Chief River processor. Despite its metal chassis and aluminum hair-brush textures, it is still a lightweight device, weighing just 1.3 kg. The notebooks features almost all things you would need for everyday computing, like a large clickpad with multi-gesture, a comfortable keyboard, Sonic Master speakers and 500GB storage. The battery is good for about five hours of regular usage. This ultrabook from Dell comes with everything you would need for a smooth Windows 8 computing experience, including a touchscreen. With a sturdy build, this 15-inch notebook promises good battery life, Intel Rapid Start Technology and Intel Smart Response Technology, all powered by the 3rd Gen Intel Core CPUs. Then there is Waves MaxxAudio 4.0 audio processing and Skull Candy speakers to add to the entertainment experience. Weighing 2.46 kg and a mere 23 mm in thickness, it has a Windows 8 optimised backlit keyboard too. 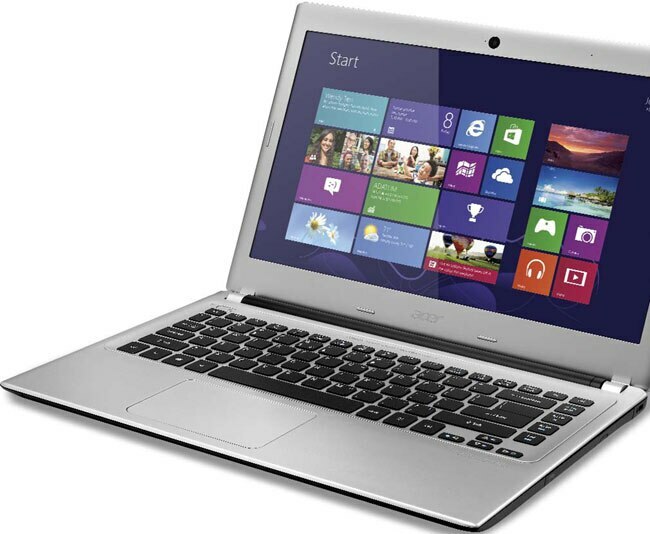 This version of the Aspire V5-471P is cheaper as it runs a Intel Core i3-2365M processor. 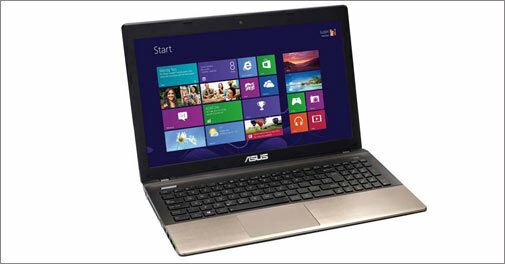 This one has a 15.6-inch HD LED 10-point multi-touch display as well as 4GB DDR3 RAM and 500 GB HDD. Buy this if you are willing to make sacrifice in power for a better price. And, it is not a small saving as the price difference between the Core i5 and Core i3 models is almost Rs 6,000. Yes, there is 15.6-inch HD LED 10 point multi-touch display here too, but the price of affordability is a slightly underpowered Intel pentium dual core 997 processor. These new ultra low voltage CPUs, but lack support for many of the new features made popular by the Core series of processors. Plus, they have 2GB DDR3 RAM. The rest of the features are identical to the 471P. The more affordable of the two 431P versions is powered by the new Intel Pentium dual core 1007 processor and the other by the 997 processor. Thanks to the Intel Core i5-3317U processor and 4GB DDR3 RAM this is a powerful computer. 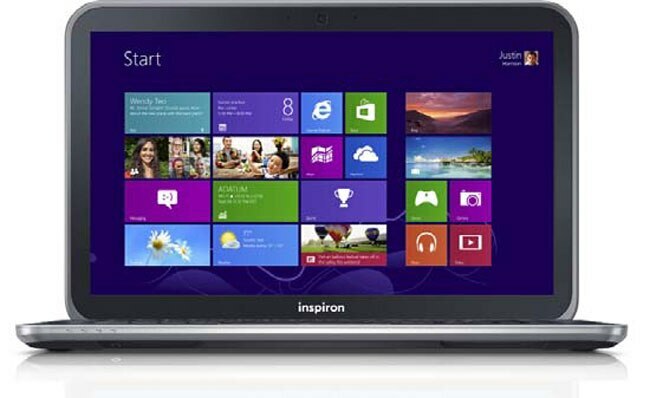 The 15.6-inch HD LED Display has 10-point multi-touch that will let you use and experience Windows 8 to the fullest. Being a fullfledged notebook, users won't have to make compromises as far as connectivity is concerned. So there is BlueTooth 4.0, Wi-Fi, a 2-in-1 card reader, DVD RW, two USB USB2.0 and one USB3.0 ports along with a HDMI port. The addition of Dolby Advance Audio makes it a good entertainment device too. This unit comes with 500GB HDD and promises five hours of battery life.